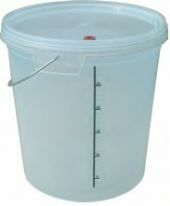 Looking for a Beer Brewing Kit? The Best Value and Most Complete Beer Starter Kits. Some homebrew equipment starter kits work well, others not so well. 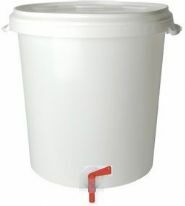 As wholesalers in Ireland, we take a long term view: we don't just want people to start homebrewing, we'd like them to have a great experience so that they keep home brewing. It's very important to select a quality equipment kit so that you can develop a lifelong homebrew hobby that is incredibly rewarding . 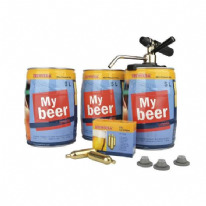 . . when it comes to a beer brewing kit, we have what you need! 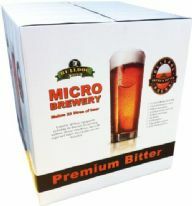 Some of our beer starter kits come with The Craft Range all malt beer kits, these are superb quality and great value. To see just how easy homebrew beer bottling should be, have a look at our bottling video on YouTube: Bottling Made Easy. He is using a Craft Range Bottle Tree and a Craft Range Rinser. If you use these with Chemipro OXI or Starsan, then you don't even have to rinse the bottles! When you buy certain starter kits, you can select bundle options to get all of these at close to a third of the normal price. The rinser can be used on a table top, or it can be attached to the top of the bottle tree. 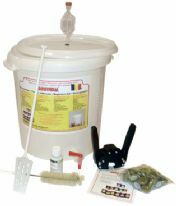 The NEW Coopers DIY Beer Kit NEW (with VWP Sterilizer) is the best selling starter kit in the world, and one of the best selling quality beer making kits here in Ireland. Includes VWP Cleaner/Sterilizer, not standard because of international controls on chlorine based cleaners. It has everything except a heating BrewBelt / timer. Look at the instructional videos. The packaging and presentation are superb, so it makes the perfect gift. 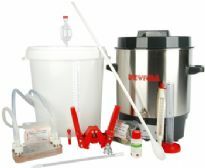 The Coopers DIY Beer Kit NEW (with VWP Sterilizer, Red Brewbelt) is a one of a kind beer brewing kit and is the best value Coopers equipment kit on the market. Coopers homebrew kits work. BrewSmarter equipment kits are very similar to Coopers kits, but the range is wider, as is the price range. You get the essentials, and can upgrade later. BrewSmarter equipment kits contain top quality components and are by far the best value home brewing kits on the market. To help decide which kit you need, read Selecting A Beer Starter Kit (its info overload, but the detail is there). 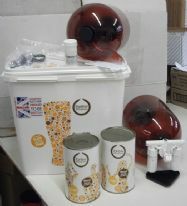 We use the BrewSmarter Premium Starter beer making kit (best value). Its great value, comes with an upgrade option to a Craft Range all malt beer kit, and is the most complete kit on the market with a heating belt (and a mechanical timer to control the heating) and 48 Ox-Bar bottles. The best value budget system is BrewSmarter Starter Beer Kit (Without A Beer Kit). Its got the essential BrewSmarter technology, allows you to select your own beer ingredients kit, and can be upgraded to any BrewSmarter kit. The BrewSmarter Starter Beer Kit With Caps And Capper comes with a bottle capper, caps and has everything except glass beer bottles and a heating belt. If you want to save money and start out with ordinary plastic bottles, go for the BrewSmarter Starter Beer Kit. For draught beer on tap, upgrade any BrewSmarter starter kit to King Keg Top Tap Draft Beer Upgrade For BrewSmarter Starter Kits. 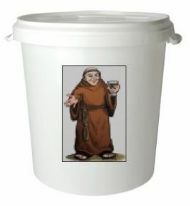 When it comes to making your own beer kits in Ireland, you are in safe hands here at Home Brew West.